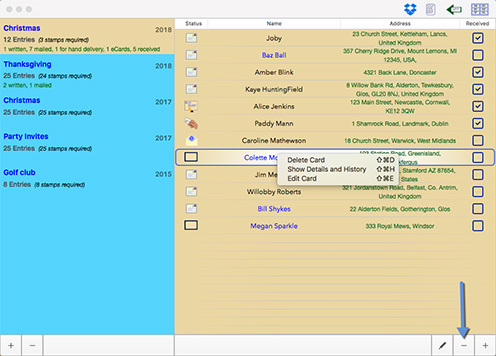 To edit the details for a person on a list, right-click on the person, and select Edit Card. The next screen will allow you to edit the person’s details. What you see will depend on whether the person was imported from Contacts originally, or if typed in manually. You cannot change the name or address of a person imported from Contacts. This can only be done in the Contacts app itself. However, you can change the name as it will appear on a list, and on the labels. This means you can in effect create an alias for that person. 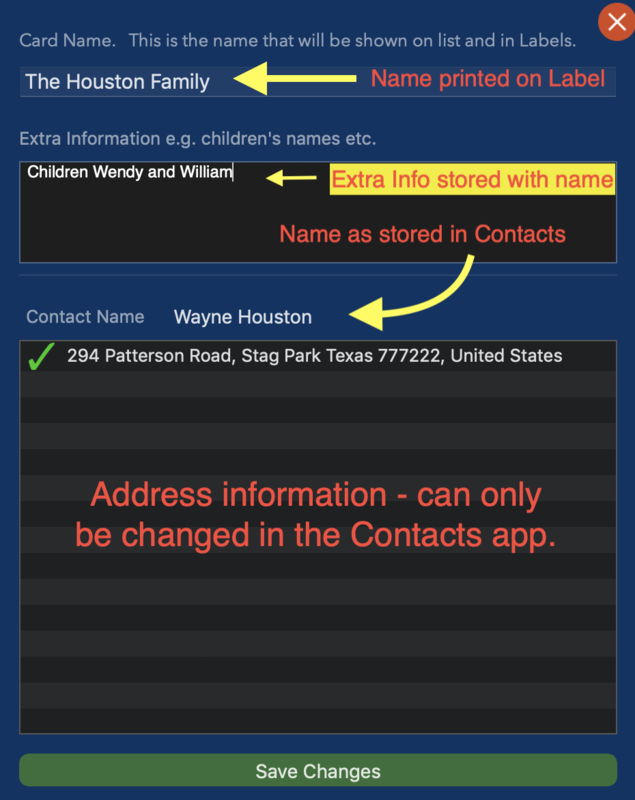 In the example shown, “Wayne Houston” is a person in Contacts. This will appear on the labels as “The Houston Family”. You can also add ( or edit ) extra information to be stored with that person. If the person was originally typed in manually, you can change the name here, as well as the person’s address. 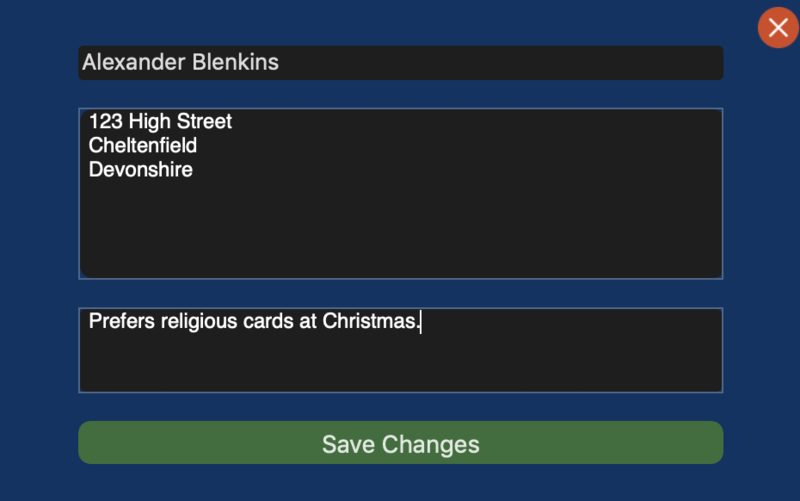 You can also enter or edit some extra and hopefully useful information, to store with that person.